Food, vibe, and beaches. That’s what you think when the word ‘Jamaica’ springs to mind. Camden locals have discovered a place that’s proving to be a hit, and it shouldn’t remain a secret. 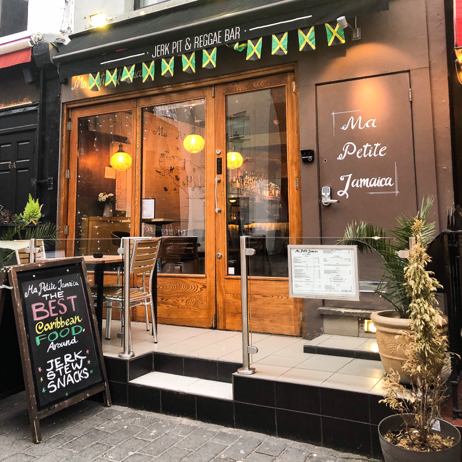 Camden’s first Jamaican bar and restaurant has opened on Inverness Street called Ma Petite Jamaica, and as soon as you enter it feels like an instant holiday. The music, the décor, and the smell of the food being prepared. 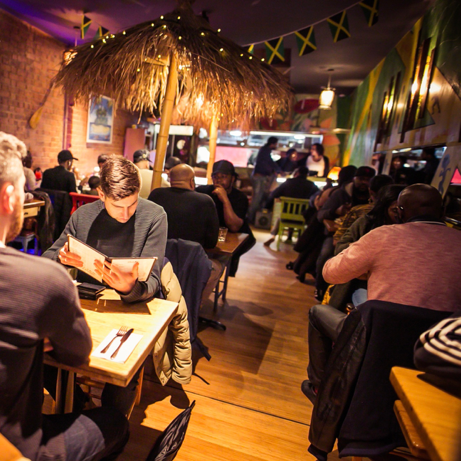 Camden locals, we’re told by Ma Petite Jamaica, return regularly because of the friendliness and the offers, like the happy hour every day from 5-7pm, or the Jerk Pit Brunch which is packed with Jamaican flavours. Their rum cocktails are truly something special, and they are rather generous with their servings too! The drinks menu has all types of combinations in a classic Jamaican style. Ma Petite Jamaica promises to being the sun, spirt, and soul of Jamaica. Their food is delicious, the drinks are good value, and it’s a fun place to be. For those of you who use Mornington Crescent station as your exit in the mornings, you might have noticed a new health food shop across the road from Koko. We were curious about it and had a look around. Healthy Hit has been set up by health fanatic Rony, and they have created a delicious and healthy menu with the help of a nutritionist. They know that many people working in or visiting Camden might not have time for a sit-down lunch, or might be in the habit of buying a quick sandwich from a supermarket. The idea is that most people have a relatively unhealthy lunch, and the energy and performance levels of most people drop dramatically because of poor health values. 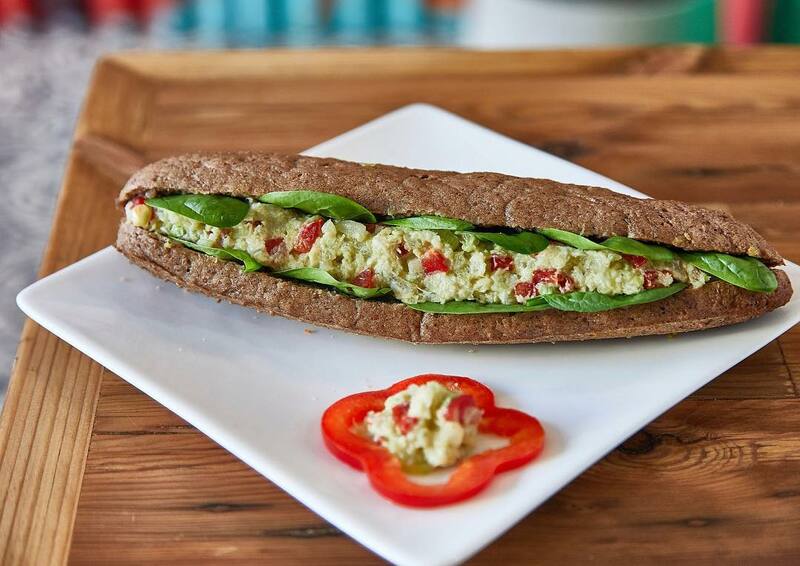 By using recipes put together by a nutritionist and ingredients from particular suppliers, the sandwiches from Healthy Hit are lighter but just as filling, which reduces post-lunch fatigue. In fact, their sandwiches also have around three-times the amount of protein in them than a regular supermarket sandwich! 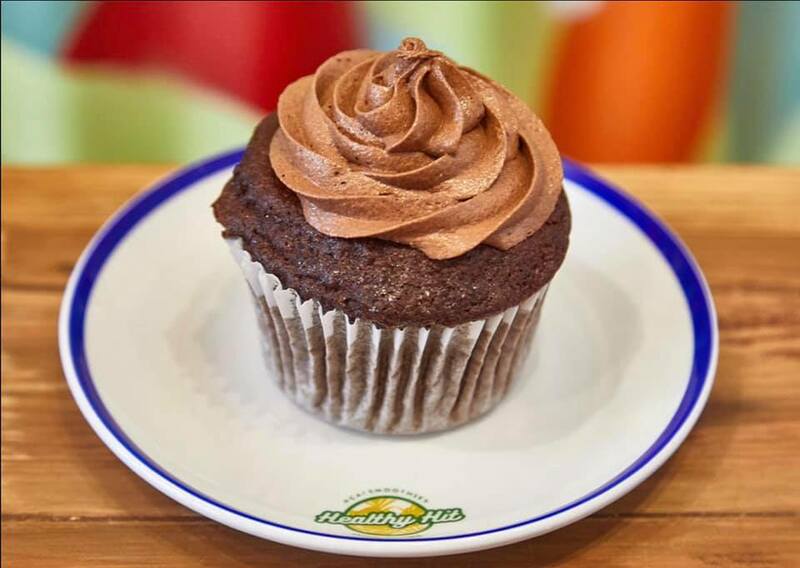 The fresh cupcakes from Healthy Hit look gorgeous, but they’re not stuffed with sugar. Finally, eating cupcake and no guilty feelings! Their coffee is unique, using premium beans, and the bean of the moment changes regularly. Each bean has a special taste and a story behind it – the week we visited the bean was from Nepal, where it’s the bean grown at the highest altitude in the world. Why do they like Camden? They say that the people who are in Camden are full of energy, health conscious, and are friendly and welcoming. This is a perfect fit, then, as the service from the staff at Healthy Hit is second-to-none. If you are needing a quick and healthy lunch, Healthy Hit I highly recommended. They are happy to suggest which smoothie combination you should try, which sandwich will suit your tastes, and prepare a coffee that’s simply a cut above the rest. 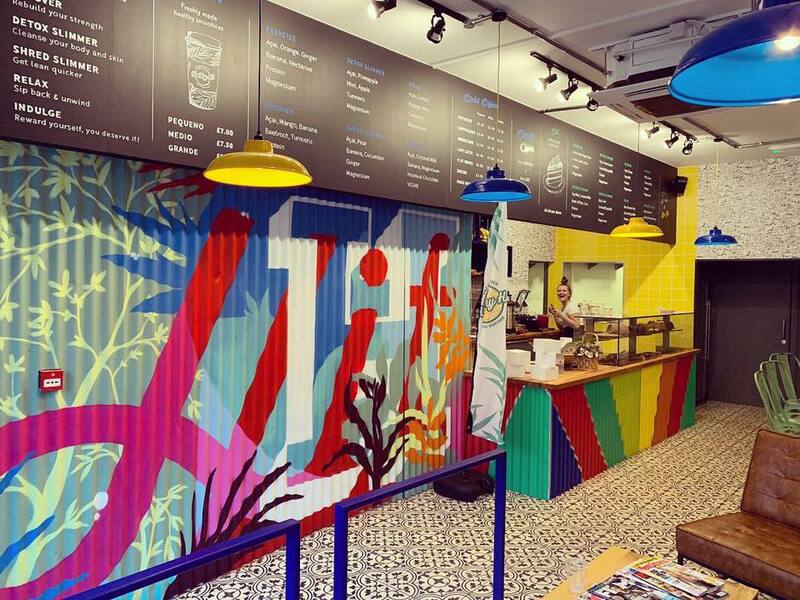 Look out for Healthy Hit on 13 Camden High Street, or in the Camden Market itself. 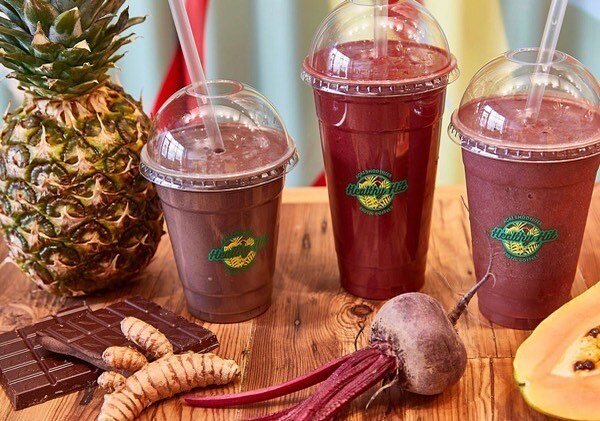 The only question is which smoothie to try next! Possibly the Açaí, Orange, Ginger, Banana, Nectarine, Protein, Magnesium combination. 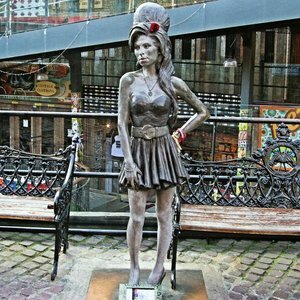 Camden Queen Amy Winehouse may have left the building, but her relevance lives on. 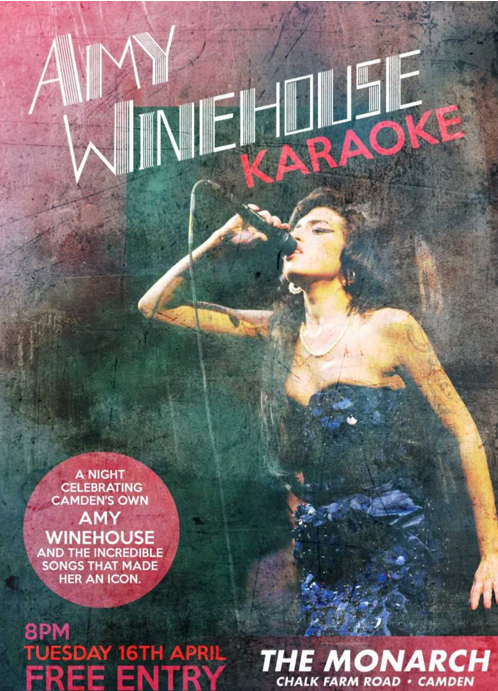 The Monarch in Camden is celebrating Camden’s beehived singer with a night of Karaoke, featuring only Amy Winehouse songs. It’s free to get in, and make sure your vocal chords are warmed up – this is bound to be a night of singing some of Amy’s classics at the top of your lungs. The Monarch, Camden, on Tuesday April 16th from 8pm. To be ‘Frank’, it looks like it will be a great night. April. Easter. Camden Town has a lot going on as usual. There’s a short school holiday, so no excises not to visit Camden Town. Here are some things we thing that you should check out in the month of April. 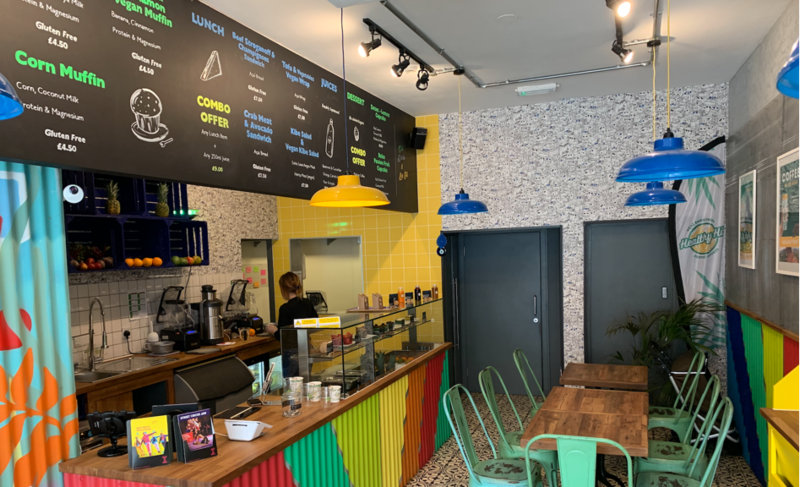 Healthy Hit is a new café in Camden founded by fitness and nutritional fanatics. They have a shop on Camden High Street and a stall in the Stables Market. Summer is coming, so it’s time to get eat and drink healthily. They also offer healthy food, but they’re on our must-do list for this month because of their music venue, found in the basement. A good-sized venue with top local performers. Live music in Camden lives strong! Tapas, live music, flamenco. What more could you ask for? Their lunch offers are sensational: selected Tapas for only £3.50 each, and a very good selection of drinks too. 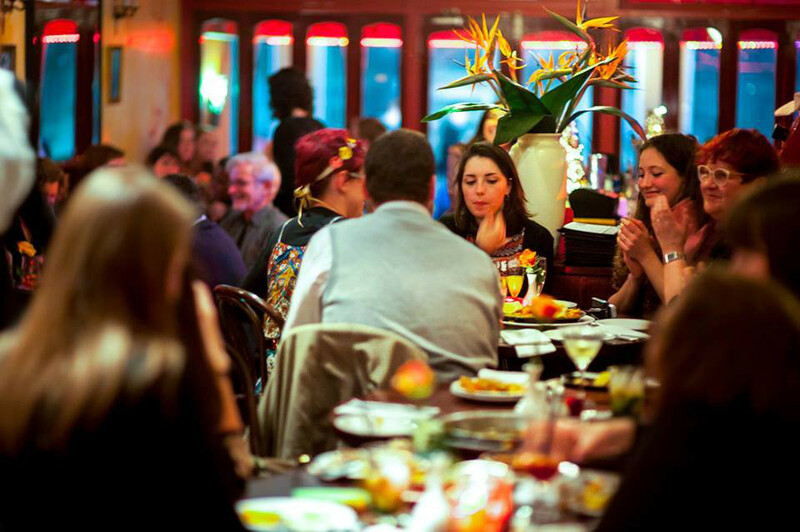 Definitely try lunch and one of the most popular Spanish Tapas bars in London. Miusan in Inverness Street has been a long-time favourite restaurant, and it’s highly recommended. Influences form Chinese, Malaysian and Thai food, and a cocktail menu to make be biggest connoisseur smile. Check out their affordable lunch menu. 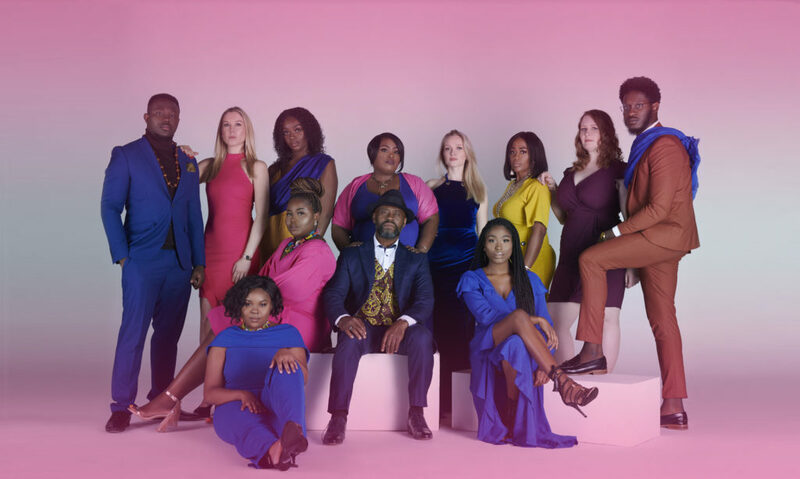 The spectacular London Community Gospel Choir takes to the stage to bring another powerful live performance on April 22nd. Their Easter performance will see them bring their flexible vocal arrangements for a great evening out. The Jewish Museum brings this moving exhibition to Londoners, sharing 6 stories of child refugees during the 1938/39 period when the British government allowed in 10,000 Jewish and other ‘non-Aryan’ children. 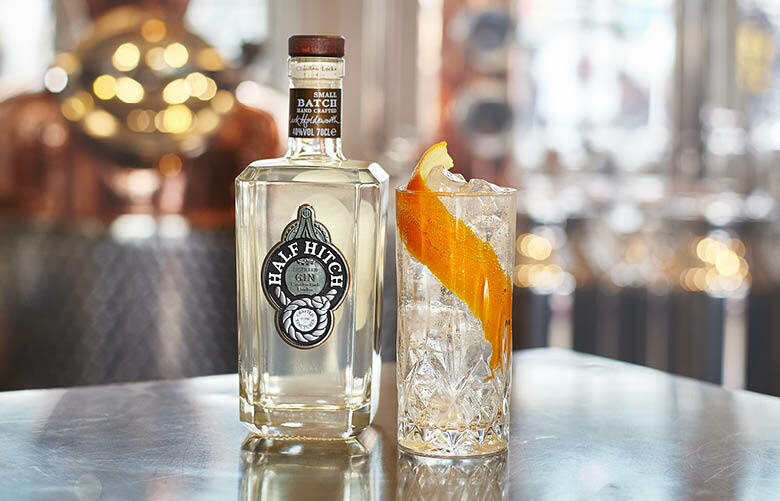 Camden Market has a long association with gin making, and with Half Hitch offering gin-making courses, you can experiment with your own recipes or follow the classic ingredient combination. Cheers! The canal cruise to Little Venice from Camden Town is magical. Take who canal route past London Zoo, take in the sights and sounds, and enjoy the experience. A perfect way to spend a sunny afternoon. Ladies, got what it takes? 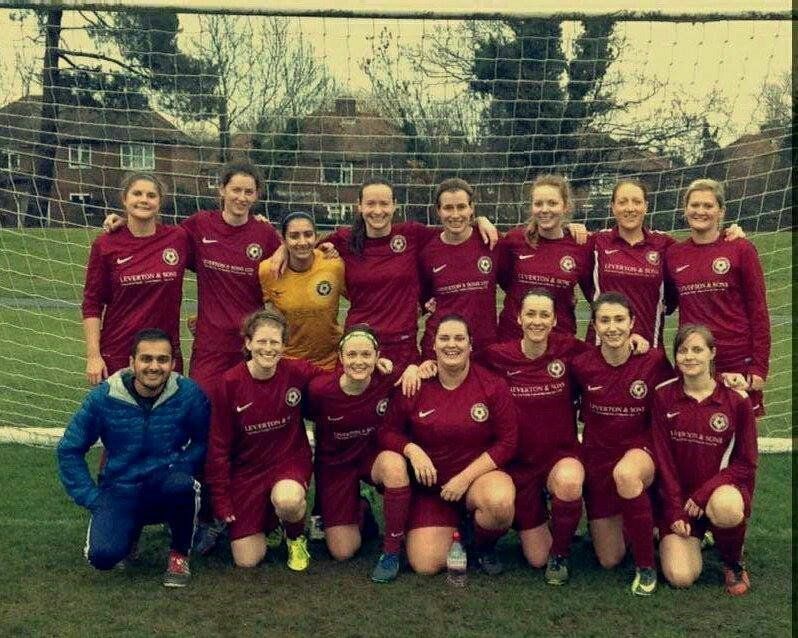 The local football club are always welcoming new members to train and play matches, or just meet up and have fun. Sign up now! The German DJ Moguai (not to be confused with Scottish rockers Mogwai) brings his tech-house, electro house and progressive to Camden Assembly. Pack your dancing shoes. Camden definitely has no difficulty when it comes to tickling eclectic taste buds, a job made even easier by the wide array cuisines it has to offer. In continuing our efforts of exploring each and every inch of the area (an endeavour that is challenging to say the least), we came across what we would dub a “hidden gem”, for lack of a more accurate term: African Kitchen Gallery! 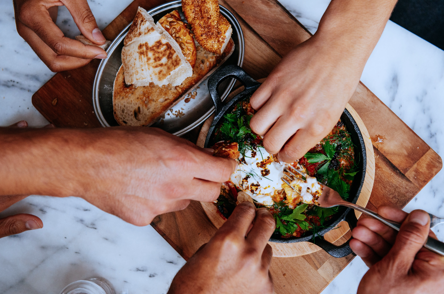 The exciting new discovery came a few months ago, when we started delving deeper into the various restaurants of Drummond Street, all of which have authentic cuisine from different countries around the world on offer! So why cover African Kitchen Gallery now you ask? Firstly, because putting into words the greatness of this restaurant is not an easy feat. Secondly because the timing is appropriate, as it coincides with the launch of their brand new website, which you can find here. 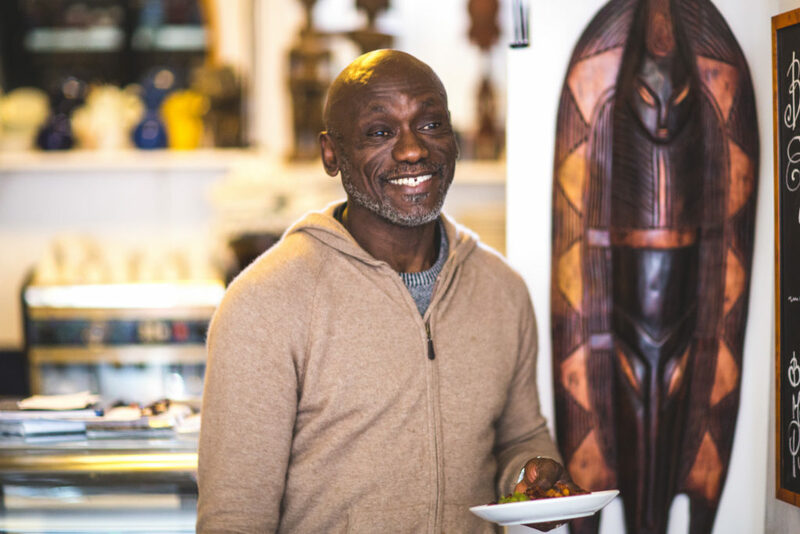 African Kitchen Gallery has gained a Certificate of Excellence on Tripadvisor, amassing a great selection of enthusiastic reviews by highly satisfied guests, and has been featured as the best West African eat in London by the Standard. Needless to say that, having tried its food, we weren’t surprised! 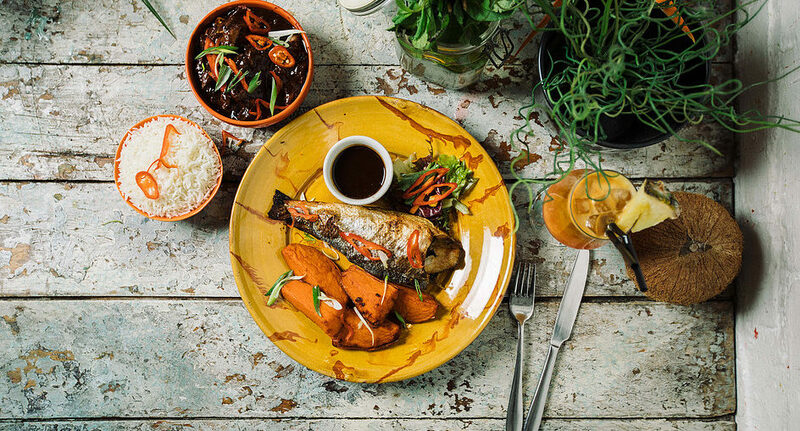 The menu boasts a number of traditional West African dishes, with a little twist that makes them even more mouth-watering, and spicy Caribbean picks. 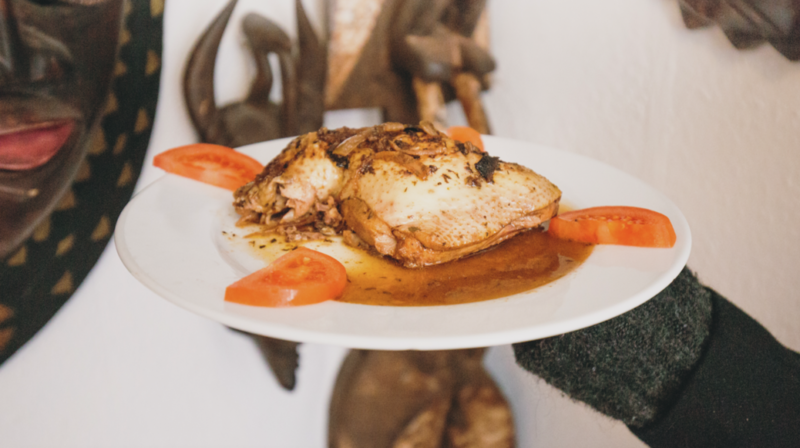 Akin, its ever-smiling owner, prepares the food with care and healthy ingredients. The fact that none of their dishes contain dairy products, monosodium glutamate, wheat, added animal fat or artificial colourings is a pleasant surprise! Complementing the great cuisine, is African Kitchen Gallery’s unique interior! 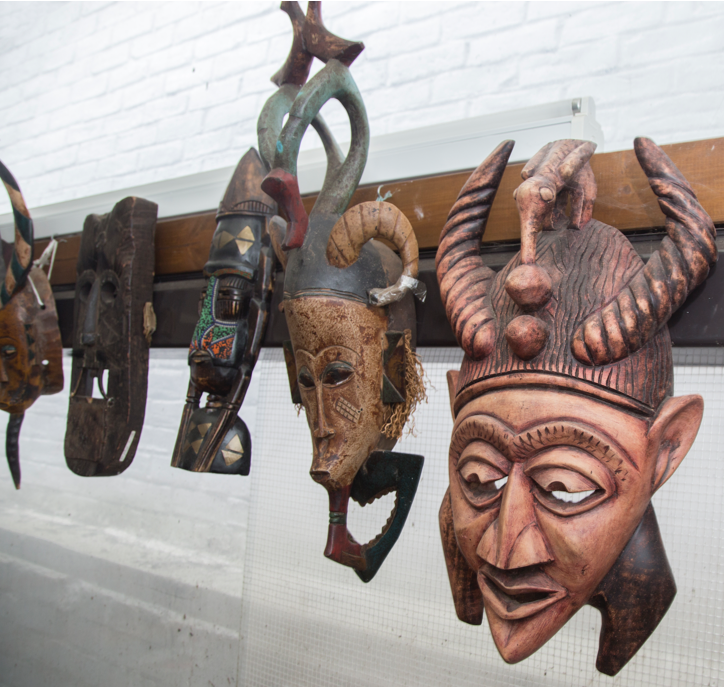 The venue boasts the most wonderful décor, with an impressive selection of African masks gracing the walls. The collection’s origins can be traced back to various countries, from Burgina Faso, Ghana, Cameroon, Kenya and more! What’s more, if you fall in love with one of the tribal artifacts on display, you are able to purchase them and offer them as a unique gift or simply decorate your room with one of them! Mediterranean food is the epitome of healthy food. Music & Beans specialises in this, and their location offers a few additional surprises too. Locals will describe the food from Music & Beans as serving up delicious fresh salads, handmade pastries, and coffee of the highest quality. Their breakfast menu has real treats like Shakshuka (you have to try it, wow! ), Rolled Omlette, Crushed Avo on sourdough, and a Breakfast Pitta – healthy and filling. The Granola breakfast looked great and the Music Breakfast is their take on the Full English, and there’s a Crispy Roti on there too which is full of flavour. The lunch menu has chicken, salmon, Fritata, quiche and a Veggie Lasagne. Their salads are what seems to be the popular choice, and they even have 6 burger options too. For those needing something quick, their sandwiches are fresh and prepared quickly. 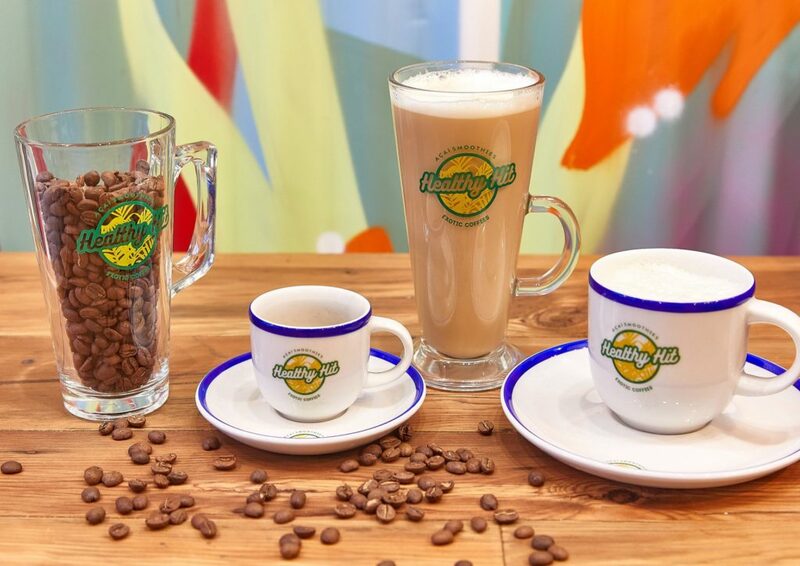 Their Allpress Coffee is surprisingly good – they know how to prepare it and use fabulous beans. Upstairs you will notice the guitars on the wall, which is a reminder of the music venue that can be found downstairs. 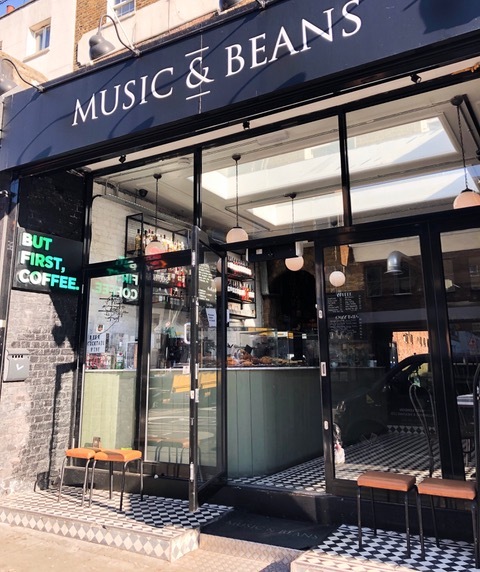 Music & Beans is a fun, quirky, delicious new addition to Camden Town and many people who work locally have discovered it for lunch. 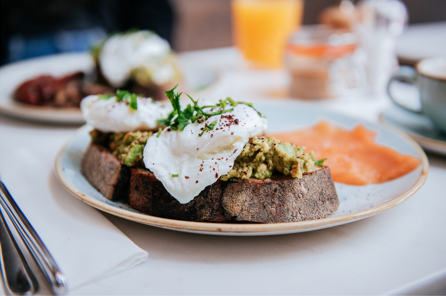 We recommend trying their breakfast menu and their salads, such a wide choice and served with a friendly smile – making it a wonderful café in Camden. A performance on 30th January marked 50 years since The Beatles played their final concert, live from the roof of multimedia corporation, Apple Corps, in central London. St Pancras International – well known for surprise performances by some of the world’s biggest music stars – paid tribute to that historic day by recreating this famous rooftop performance, at the station where art comes to life. The station, which is just a stone’s throw away from where the original band were photographed as part of the ‘Mad Day Out’ shoot in 1968, has a deep-rooted connection with the music industry and the band itself. It has also been revealed today, that The Beatles have topped the list of bands played by visitors on St Pancras International’s free-to-play jukebox, with hits from the notorious band played over 1,400 times! The tribute was made up of a collective of talented British musicians who have all been inspired by the famous four during their musical careers. Ben Parker, Jimmy Sims, Che Albrighton and Thom Kirkpatrick entertained delighted on-lookers who stopped to listen to the performance from 21 metres below. They played a homage to the set played by The Beatles in 1969, including Let It Be, Don’t Let Me Down and Get Back. The performance comes as part of the station’s ongoing exciting calendar of arts and music events which has seen A-list musicians such as John Legend, Elton John, Jamie Cullum and Jeff Goldblum all perform on the famous public pianos in the iconic station. Ben Parker, lead singer for The Beatles Tribute performance comments: “We were honoured to be given this chance to pay tribute to one of the greatest bands of all time. The Beatles marked a step-change in musical history and the rooftop gig was the culmination of their partnership. 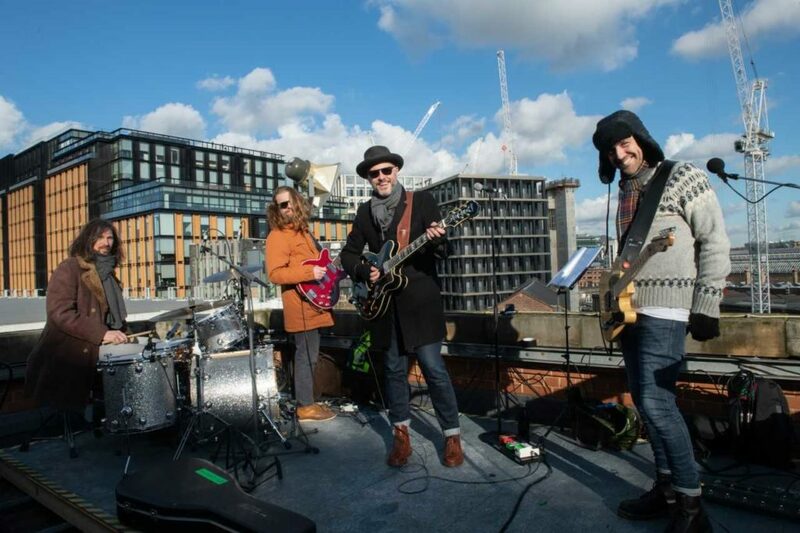 Each of us have huge admiration for The Beatles and it was amazing to have the opportunity to recreate one of our favourite performances of all time, on top of one of London’s most-loved stations- St Pancras International. The set was a tribute to the gig rather than a faithful recreation, which is not to say we don’t acknowledge the often-overlooked part played by the incredible Billy Preston on keyboards”. 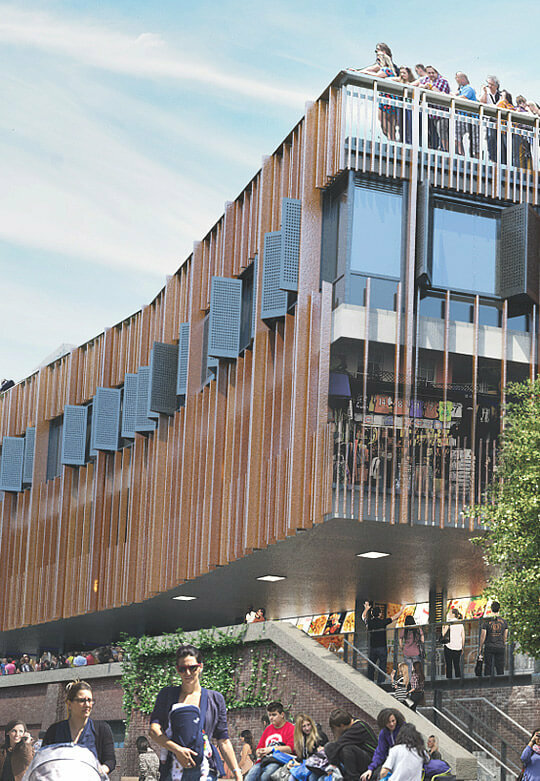 A new retail scheme is planned for Hawley Wharf which is situated right next to the famous Camden Stables Market. The investment firm, LabTech, has unveiled plans to invest and update the area known as Hawley Wharf which will see the development of an area that makes up 580,000sq ft. The 30 railway arches will be restored as well as the existing warehouse buildings. 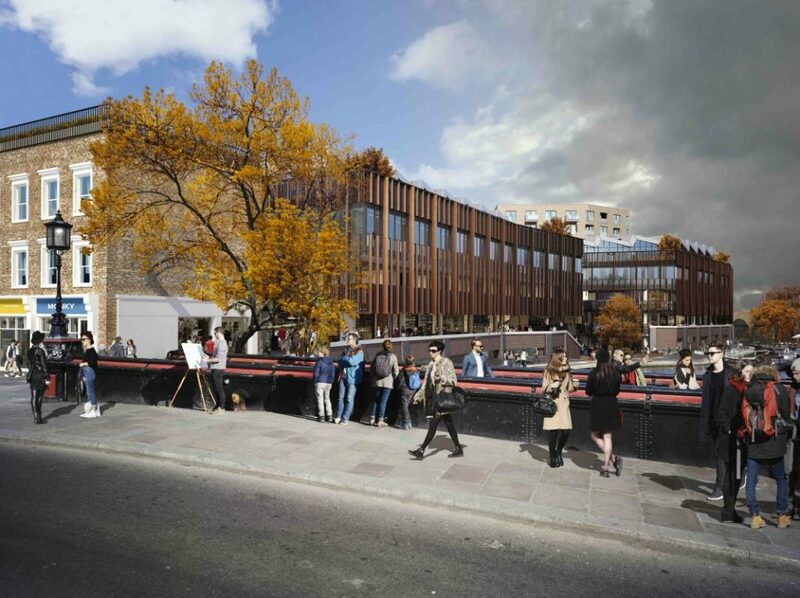 Already planned to open in summer 2019, the newly developed area will have 150 retail spaces and the largest farmer’s market in North London. In addition there will be more than 60 food and drinks locations, 195 new apartments, 60,000 ft of co-working space and entertainment space. Coliers International will oversee the leasing the retail spaces for food and drink. With the new development and shopping and eating locations the annual visitor numbers to Camden is expected to reach 50 million per year by 2020. LabTech say that they are looking to take Camden “back to what it had before and creating what it is so famous for”. Get ready for a new look and more vibrant Hawley Wharf. Camden Town Brewery has teamed up with Homeslice to make a beer just for them. Beer and pizza, what a fabulous combination. 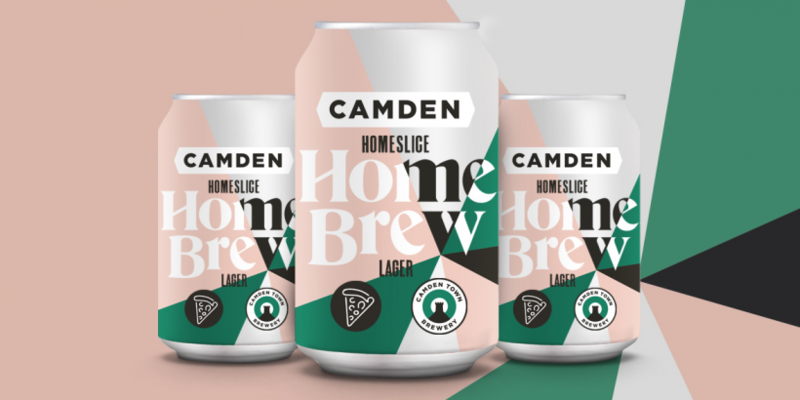 Camden Town Brewery has created a crisp, easy-drinking lager for Homeslice. The Pilsner-based lager doesn’t have the ingredients on the tin because the recipe will change seasonally. The beer is made to go with pizza. 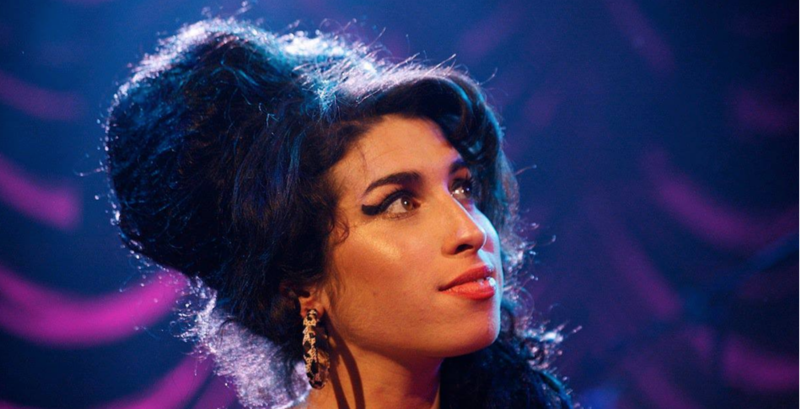 A new documentary, Amy Winehouse – Back to Black, has been announced. The new documentary will follow the story of the making of her last album, Back to Black, which shows unseen footage of Amy and interviews with producers and musicians such as Mark Ronson and Salaam Remi. The bonus on the DVD/Blu-Ray/digital documentary is “An Intimate Evening in London,” with footage of Amy Winehouse’s performance at Riverside Studios on February 10th 2008. That was she night she won the Grammy Award for Record of the Year (Rehab) and accepted it over satellite linkup. This is the follow-up documentary to “Amy”, which was released in 2016 and went on to win the Oscar Award for Best Documentary. We’re looking forward to watching the new Amy Winehouse documentary, due for release November 2nd 2018.